Prophet E Juice Premium Blends is a luxury street brand designed using simple flavors with complex flavor profiles. 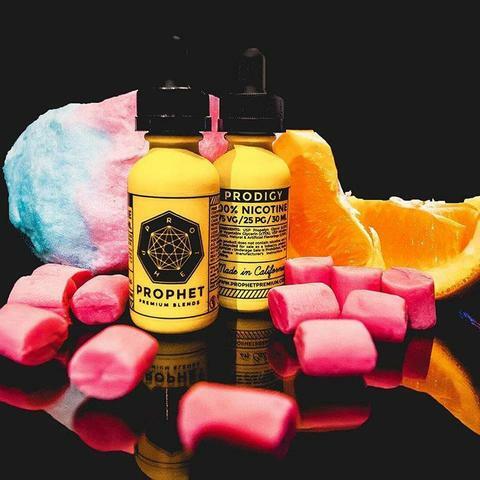 Prophet E Juice is the perfect line with a selection of blends that are packed with flavor and purpose. Vaping has an almost magical way of allowing you to put all of those nagging thoughts out of your mind and reach deep within yourself to get back to your center. Prophet E Liquid creates a variety of different tastes that are meaning and sparks a fire inside of you. Unique and creative, vaping this lines blends is going to make you feel filled with emotions that will help to bring out the creative side of you.